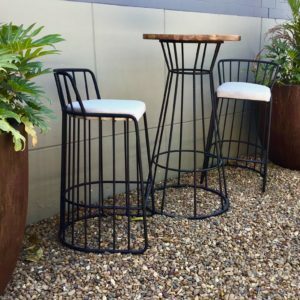 Our Outdoor Dining Set is great for social butterflies who love to entertain guests, or families that love to be outdoors! 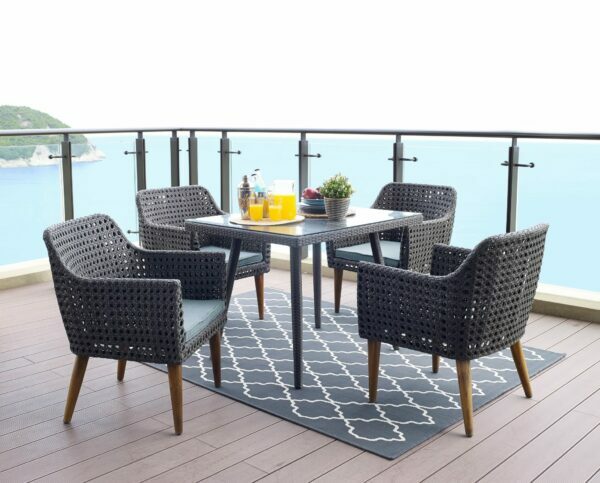 Our Outdoor Dining Set features flat weaved wicker giving a sleek styled classy look. You want outdoor furniture that you can enjoy through all seasons. You want pieces that are durable, easy to keep clean, and most of all, attractive and comfortable to sit on. 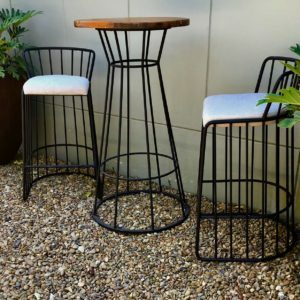 This set is the perfect place to relax, drink a bottle of wine with friends, or enjoy a lovely meal.